Interested in joining the Jaguar Marching Band? Information on auditions and scholarships! Information about band camp, forms, schedule, and JMB Handbook. Stay involved! Updates and information for Jaguar Marching Band and Pep Band Alumni! 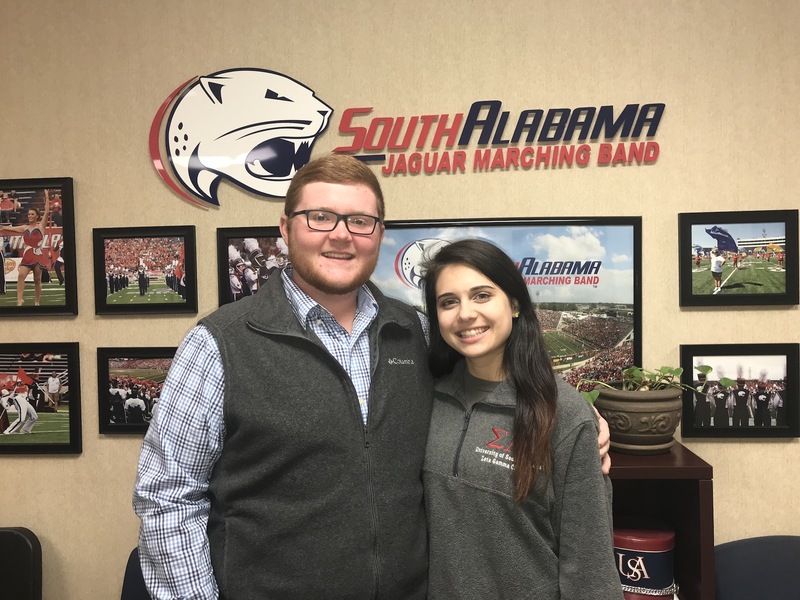 The Jaguar Marching Band is pleased to announce the selection of Alex Linton, a junior clarinet from Gulf Shores, AL as Head Drum Major and Jonah Hadaway, a freshman trumpet from Bessemer, AL as the new Assistant Drum Major of the Jaguar Marching Band. 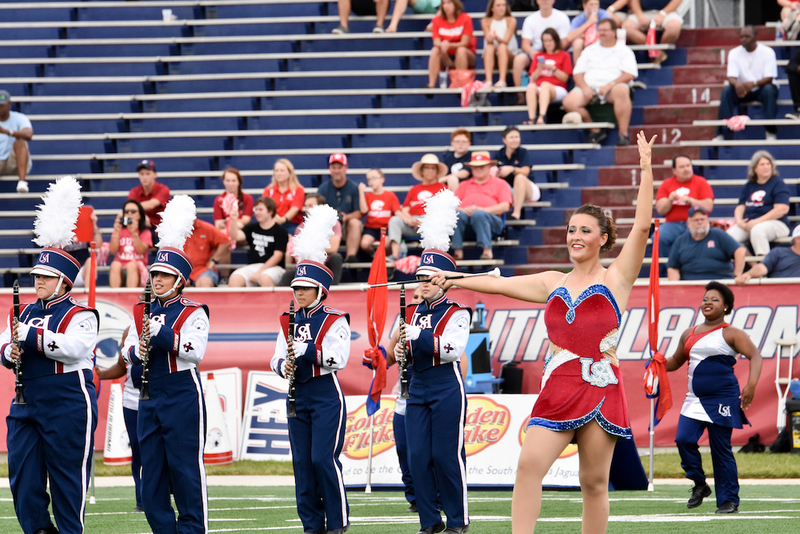 The University of South Alabama Jaguar Marching Band announces a search for a new feature twirler beginning in the Fall 2018 semester. This position covers resident full tuition, university housing (at equivalent of Azalea Hall) and university meal plan (JagPass175). The position is renewed yearly based on performance and successful completion of scholarship requirements. The scholarship can be renewed for up to four years. USA Jaguars Canned Food Drive this Saturday! USA Jaguars Canned Food Drive at this Saturday's football game against Arkansas State. Look for Greer's Shopping Carts and JMB Members at each stadium entrance. Canned and non-perishable donations can be accepted and those donating will receive a voucher for four to a future Jaguars game!